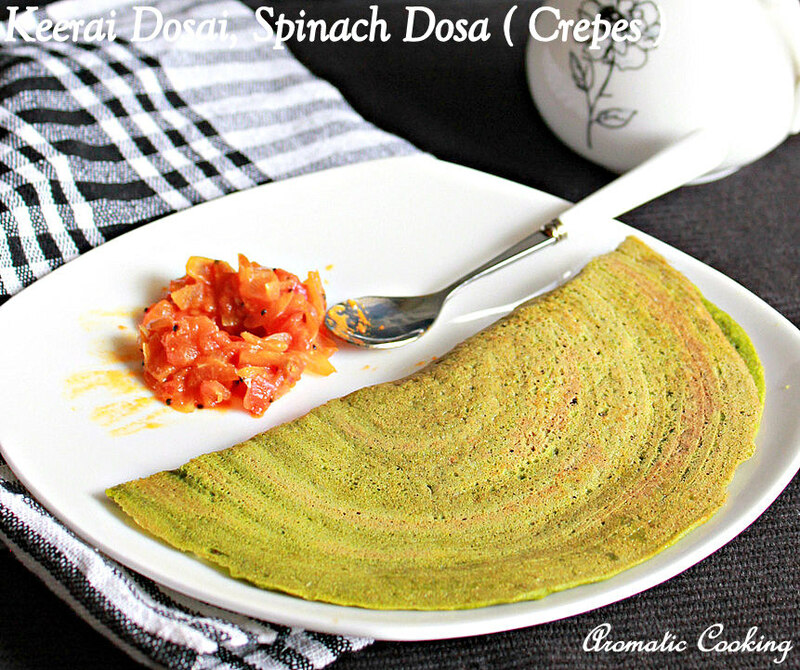 Today's post is another simple and healthy dosa with spinach and millets. 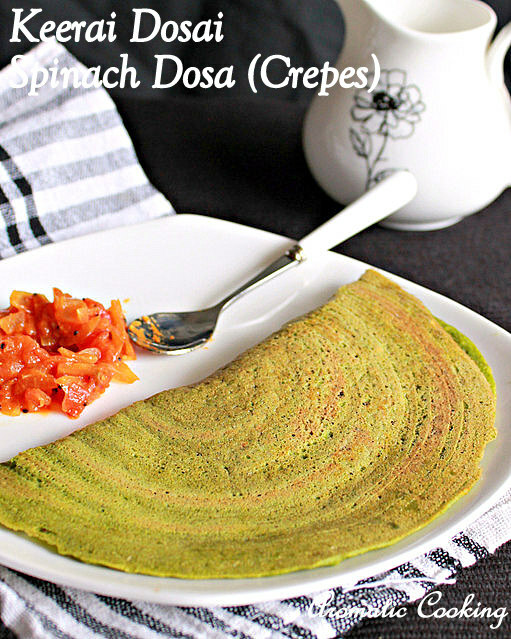 I have added chopped spinach to adai or dosa batter, but for this dosa we grind the spinach along with millets and other ingredients to make the batter. 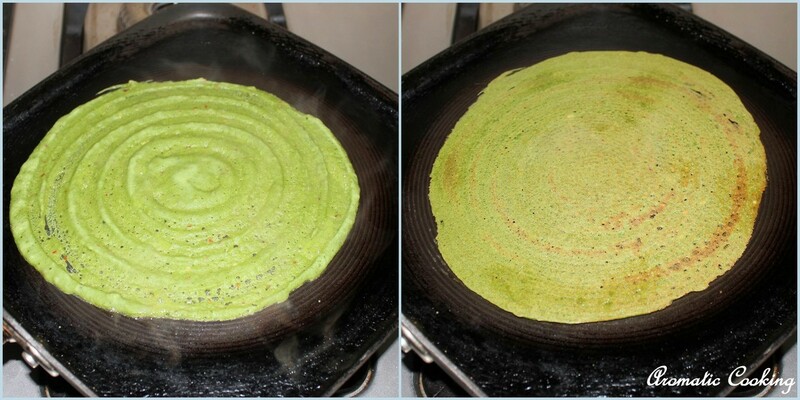 Along with the millets, we also add some dal/lentils to the batter, this makes the dosa very filling too, serve these beautiful green dosas along with some tomato chutney for a complete and delicious meal..
Soak the millet along with the chana dal, tuvar dal and urad dal for about 4 hours. 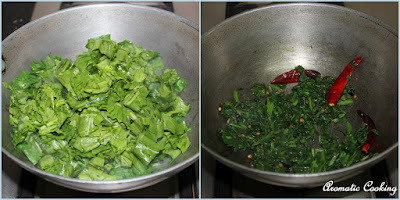 Heat some oil add the coriander and cumin seeds, peppercorns and red chillies and saute till the coriander seeds get roasted. Add the chopped spinach and saute for 2 to 3 minutes and let it cool a little. 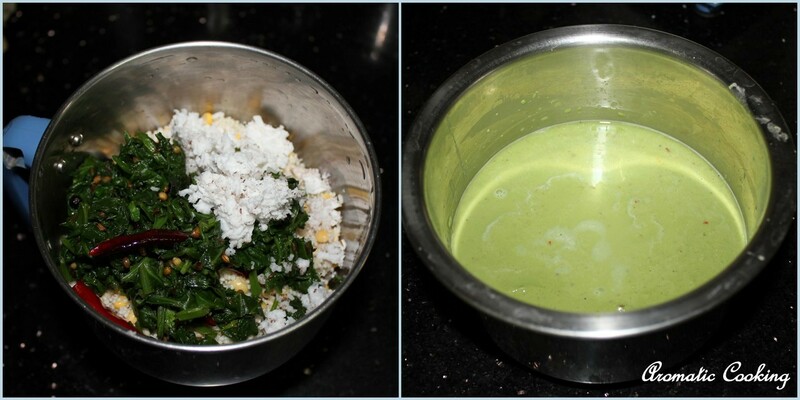 Grind the soaked millet and dal mixture along with the sauteed spinach mixture and the coconut into a paste. 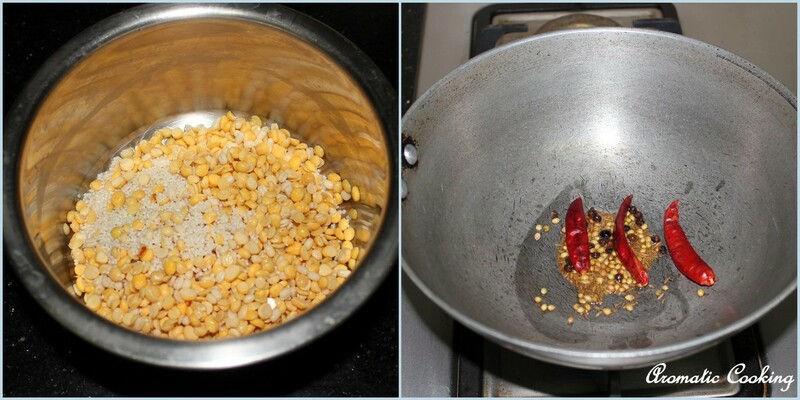 Mix in the salt and about 1 and 1/4 of water, to make a dosa batter. Heat a dosa pan, grease the pan, add a laddle of batter, spread it out, drizzle some oil, cover and cook till the top is cooked and the bottom starts to turn brown at places, flip it and cook on the other side for a minute, remove and serve it hot with chutney. The original recipe uses rice, I have used millets. The consistency of the batter should be like a thin pancake batter. The batter need not be fermented, we can make dosas as soon as we grind the batter. Awesome! I love healthy and satisfying Indian crepes..great colour too, Hema.